WTF? Okay last week I was shaking my head when they ended that way but tonight I am reminded…EXPLAIN please! So Peter and him MUST be twins huh? There are similarities in their abilities. 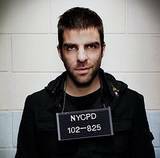 I think Sylar’s a little older than Peter, or he’s supposed to be, anyway. Peter absorbs powers and mimics them…Sylar can (apparently) manipulate his brain to mimic another metahuman, thereby gaining their ability. He just has to remove the top of their head to do it. I still don’t know what to think of Angela Petrelli…she could very easily be lying to Sylar.My biggest question from last night’s episode is just how long has Nikki/Jessica’s body been lying there, anyway? Show-wise, hasn’t it been a couple of weeks since she got blowed up? LOL, yeah, did they even answer about the similarities in them? I am wondering if they are twins or clones. Being that she is in NOLA, maybe thats whats with the extended wake/funeral type thingy.See, I totally thought Sylar and Peter could be twins because they don’t have the same power but its like the good vs. evil version of the same power. If that makes sense.